There was a brawl going on this weekend. No, it wasn’t on the football or rugby pitch, and it wasn’t over the Steam Sale prices either. This was a Dota 2 brawl between (players from ) South Africa and the UK, and you can watch the finals tonight. The prize pool for the tournament is $550 with $400 going to the winners while the runners up will be awarded $150. The tournament thus far has followed a double elimination style – this means there was a winner’s and loser’s bracket. Once a team loses a match, they drop to the losers bracket where they must fight all the subsequent losers as they try to regain a chance at the grand finals. Here are the results of those brackets thus far. The finals looks to be impressive as the UK’s Infused takes on our local Bravado Emotion. 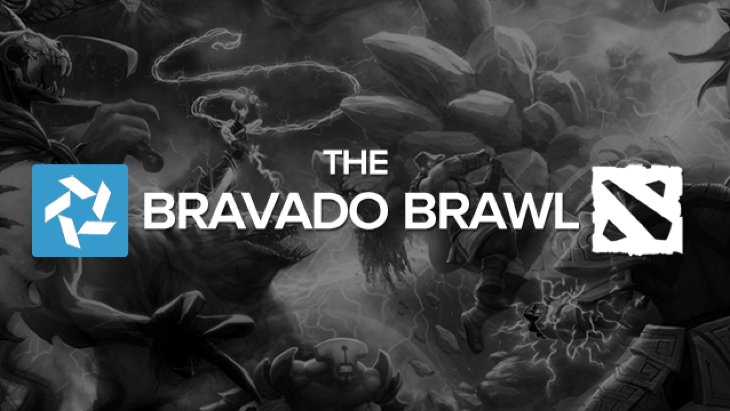 Bravado’s Dota teams have been dominating at the DGL, so it’s no wonder that they’re doing ok in their very own brawl – I’m curious to see the final game of this leg in the DGL when the two Bravado teams go head to head. But tonight, we can watch some similarly impressive Dota as South Africa and the UK go head to head to see whose Dota team is best. You can watch it here from 7pm as shoutcasted by Zoot, Noxville, Hari, Durka and others. This is good preparation for all of us – The International is almost upon us and we will be watching a ton of Dota 2. If you aren’t up to date on the latest trends, this might be a good opportunity to ease your way into it.